U.S. Senator John Cornyn (R-TX), a member of the Senate Judiciary Committee, joined Sens. Grassley (R-IA), Hatch (R-UT), Sessions (R-AL), Coburn (R-OK), and Lee (R-UT) in sending a letter to Senate Majority Leader Harry Reid (D-NV) requesting him to delay consideration of S. 968, the PROTECT IP Act (PIPA), so that concerns with the proposed legislation can be addressed. We write to express our concerns with your decision to file cloture on the motion to proceed to the PROTECT IP Act (S. 968). We strongly believe that the theft of American intellectual property is a significant problem that must be addressed to protect property rights. However, for both substantive and procedural reasons, the process at this point is moving too quickly and this step may be premature. 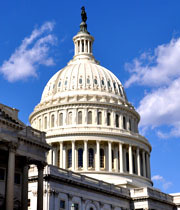 As you know, on May 26, 2011, the Senate Judiciary Committee favorably reported the bill by voice vote. Prior to committee action, some members expressed substantive concerns about the bill, and there was a commitment to resolve them prior to floor consideration. That resolution has not yet occurred. Since the mark-up, we have increasingly heard from a large number of constituents and other stakeholders with vocal concerns about possible unintended consequences of the proposed legislation, including breaches in cybersecurity, damaging the integrity of the Internet, costly and burdensome litigation, and dilution of First Amendment rights. Moreover, in light of potential cybersecurity implications, we believe hearing from the Administration and relevant agencies is imperative. As always, our current fiscal crisis demands we carefully consider legislation that would cost taxpayers up to $48 million according to the Congressional Budget Office. These are serious issues that must be considered in an informed, deliberative and responsible manner. This underscores the need to resolve as many outstanding concerns as possible prior to proceeding to floor consideration. Furthermore, we want to ensure that S. 968 will be afforded full and fair consideration on the Senate floor. It is important that the bill be fully debated and amendments not limited. We would like a firm commitment that once the Senate considers S. 968, the amendment process will be open, with senators being able to offer their amendments without the filling of the amendment tree, and that cloture will not be prematurely filed on the bill. We are all in agreement that the online distribution and sale of pirated content and counterfeit goods impose a huge cost on the American economy in terms of lost jobs, lost sales, lost innovation and lost income. We also believe, however, that we need to arrive at the right solution in the right way on this important issue. To do so, we must have adequate time to properly analyze and resolve these concerns to the best extent possible prior to proceeding to the bill. While we remain fully committed to addressing outstanding issues with S. 968, we believe that, at this point, the scheduled consideration of the bill on January 24, 2012, may not permit us to work through many of the concerns that have been raised.